Mind the Gap has issued a call out for applications to feature as audience members on the fourth season of Brendan O’Connor’s Cutting Edge, which returns to Irish screens this October. Each week, Brendan will be joined by three panelists to cut into the week's news from Ireland and around the world, in the style of a darkly comedic post mortem. This hugely entertaining show will feature the big news stories, alongside the colourful nuggets that may have escaped attention. As with all the best discussions there will be some good laughs and some fierce disagreements as the winners and losers of the week come under the penetrating gaze of the panel. The panelists will be drawn from a mixture of well-known opinionated commentators, with some exciting names from the world of comedy and media having their say. They will gather around the table, eyeball to eyeball, toe to toe, with nowhere to run and nowhere to hide, armed with their incisive wit. This is no place to be coy. Brendan O'Connor has described the show as being "the most intense experience I have ever had on camera." 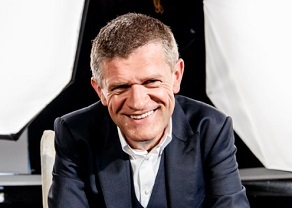 ‘Brendan O'Connor’s Cutting Edge’ will be broadcast live from RTE studios, and we're offering you the chance to witness the discussions first hand. The series will kick off on Wednesday October 10th at 9.35pm on RTÉ One (filming every Wednesday till November 28th). Tickets are free + Audience members must be 18 or over.